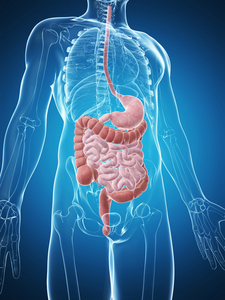 The upcoming topic on the Natural Health Show is Bowel Health. This is an extremely important topic so I am going to cover it in two blogs. The primary reason why it’s such an important topic is because the digestive track is the site where all ingested food gets absorbed into our blood stream to be further processed by the liver. The GI track is approximately 6 meters long and its surface area (due to multiple folds and miniature hair like structures called villi) is the size of a football field! This large surface area is necessary to absorb all the nutrients contained in food. Thus it is absolutely crucial that this inner surface of the bowel is in optimal condition. Otherwise the bowel can not absorb digested food and water, which leads to nutritional deficiency, dehydration and diarrhea. The other reason why bowel health is so important is because it is the site where literally billions of “good bacteria” are present. These good bacteria play multiple roles. First, by being so numerous they simply do not allow “bad” bacteria (i.e. the ones that produce toxins) to colonize the bowel to any significant extent. Secondly they create an environment around them that has such a pH as not to allow the “bad” bacteria to thrive. These bad bacteria produce many toxic substances which are not only harmful to the inner absorptive lining of the bowel but they are also absorbed into the blood stream, after which time they are distributed all over the body and can cause a myriad of toxic deleterious effects to our organs. When this occurs it can lead to a long list of serious medical conditions….Read more….. Categories: Digestive Health | Tags: digestive support, Hemorrhoids, probiotic | Permalink.